Job Description: Corporate Operations is a dynamic, customer-oriented department. We build and maintain excellent systems that empower our teams to work in a safe, welcoming, and productive environment. We do this by providing support in the following areas: transport, office services, event and program support, health & safety, meals and accommodation. The Corporate Operations Supervisor will provide oversight to office services, and coordinate visitors and on-boarding logistics. The ideal candidate is a results-driven customer service professional with an eye for minute details. They are a creative problem solver and have excellent communication and relationship management abilities. NB: One Acre Fund never asks candidates to pay any money or pay for tests at any stage of the interview process. 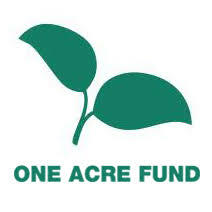 Official One Acre Fund emails will always arrive from an @oneacrefund.org address. Please report any suspicious communication here.